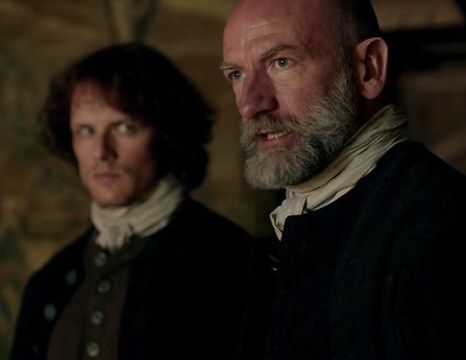 He is Jamie’s maternal uncle, the War Chieftain of Clan MacKenzie and loyal right hand to his brother Colum (Laird of the Clan MacKenzie). He is a very skilled and experienced warrior. A strong leader, he commands respect in any setting and many follow him. Secretly, he supports the Jacobite rebel cause against the British. 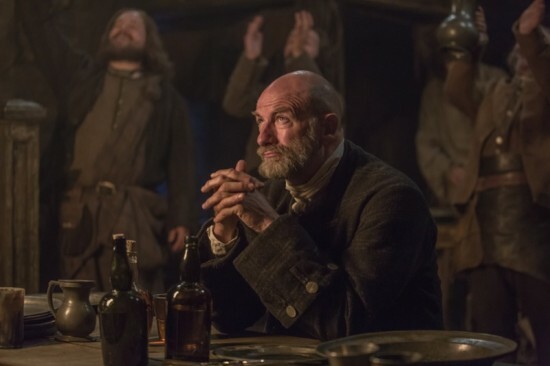 He immediately suspects Claire has secrets when Murtagh brings her to the cabin, but they don’t have time to figure it out. 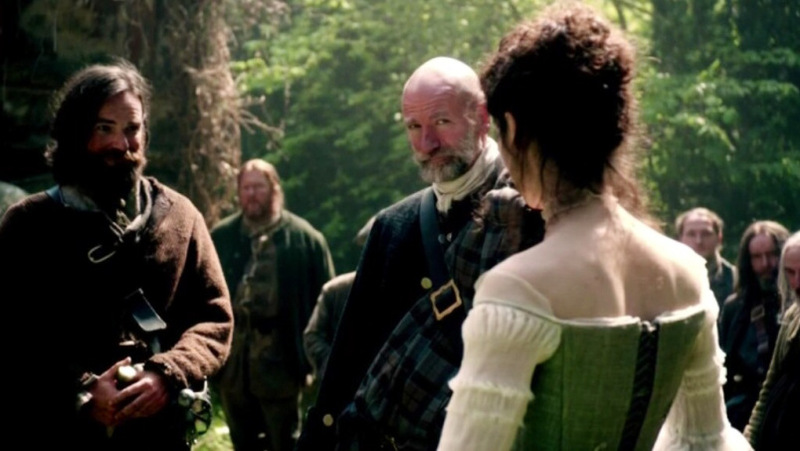 He watches as Claire resets Jamie’s shoulder and is impressed by what he sees. On the road, he is the leader of the clan! 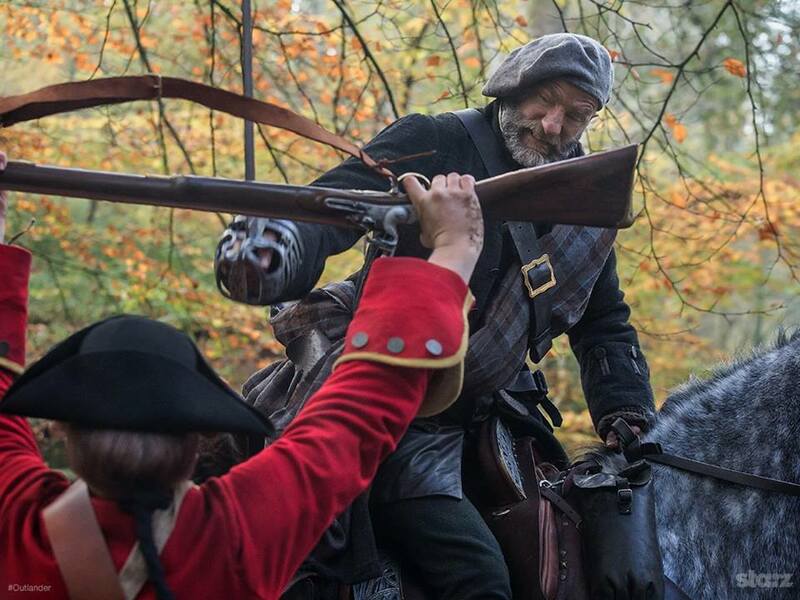 After Claire’s warning, he fights off the British ambush. 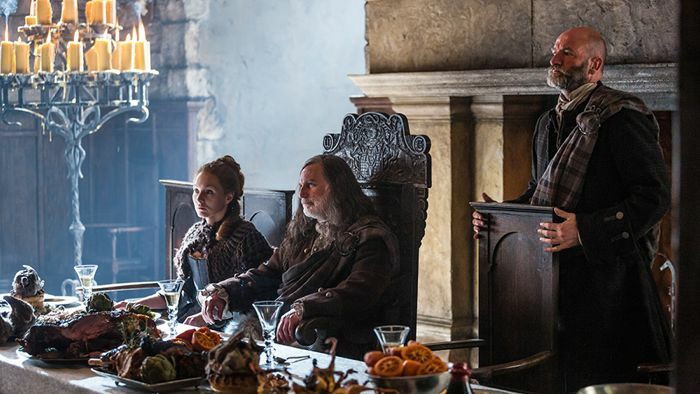 At Castle Leoch, he plays with his nephew Hamish (wink, wink), and tells the Laird of Claire’s presence. 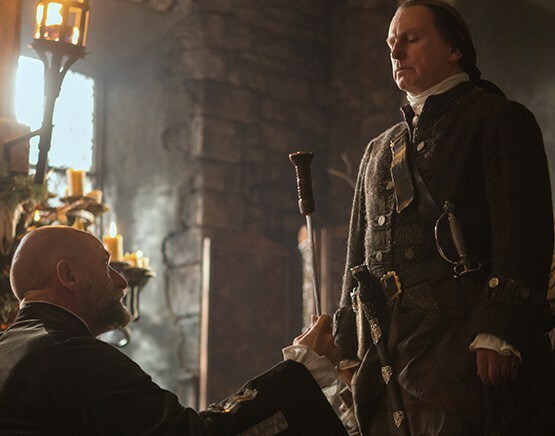 He and the Laird ensure Claire remains as the clan’s healer. 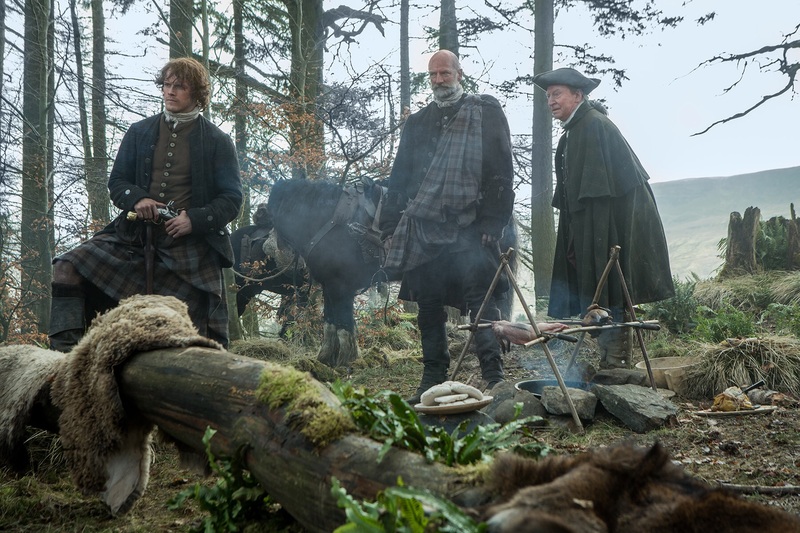 Because of Claire’s medical skills, he takes on their wild boar hunt. Later, he saves Claire’s life by killing a charging boar. He comforts a dying Geordy after he is attacked by a boar, though he also admits to sleeping with Geordy’s sister. One minute he shows a little compassion. 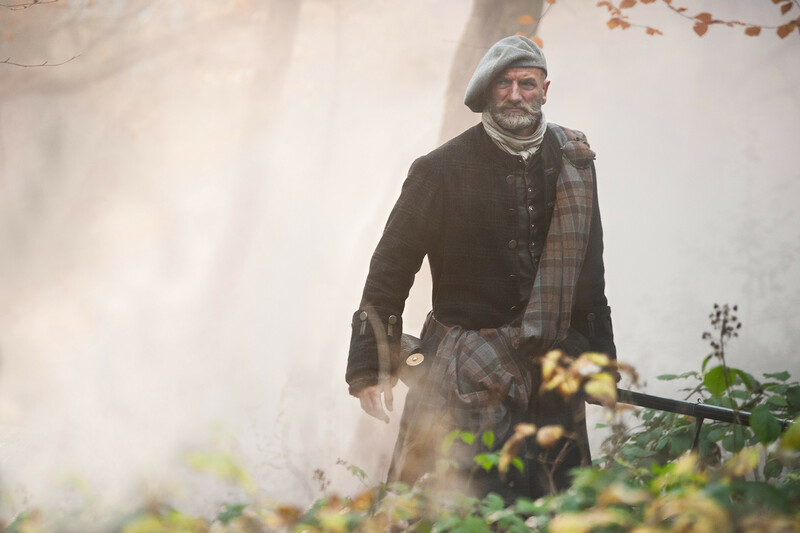 The next minute, he is like a bull in a china store – just out to wreck havoc, especially with Jamie and Claire. Tries to warm up to Claire before The Gathering – this won’t be the last time. Comes to her rescue when other men try to attack her. Only to try to have his way with her. Luckily, she knocks him over the head with a stool before anything else happens. 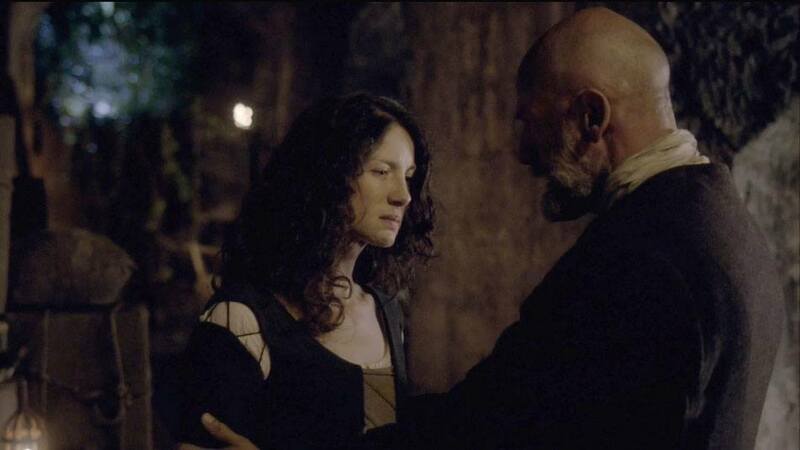 He is the first to pledge fealty to his brother, Laird Colum, and the Clan MacKenzie. He leads the clan on the road to collect rent/taxes from tenants. Also participates with the other MacKenzies in a brawl to defend Claire’s honor. 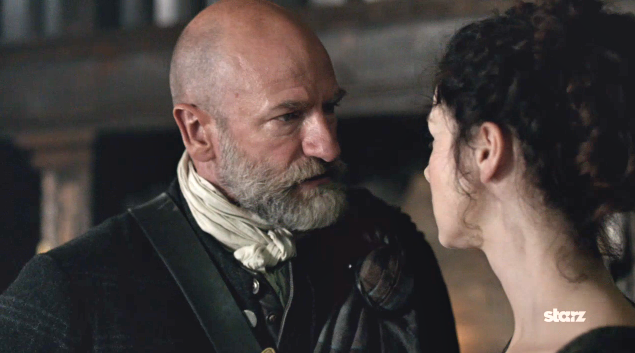 Confronts Claire for trying to take back a goat that a tenant gave as payment for rent/taxes. He and Claire are confronted by the Red Coats more than once. 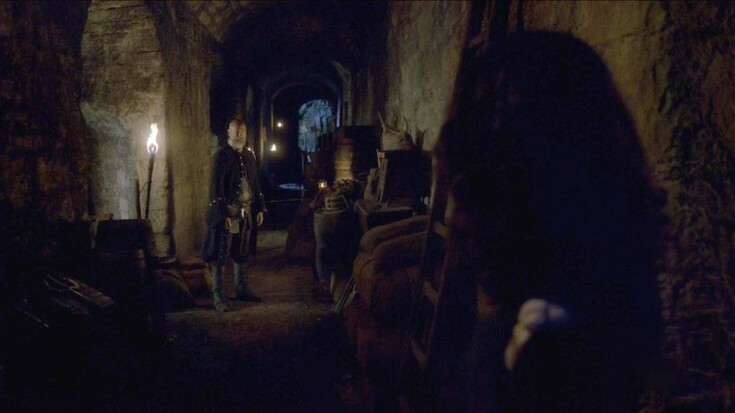 When the British summons Claire, he accompanies her to the Garrison Command . . .
. . . and later rescues her from Black Jack Randall’s horrific treatment. They stop at a magic spring. Claire thinks it’s just for a water break. But, he’s really there to get answers – the truth. Are you a spy for the English or the French? I am not a spy. I am plain Claire Beauchamp and nothing more. When the water doesn’t burn out her insides – meaning, she’s telling the truth – he comes up with a way to keep her out of the hands of Black Jack Randall and the British. You don’t need to see him again, not if you do as I tell ye. 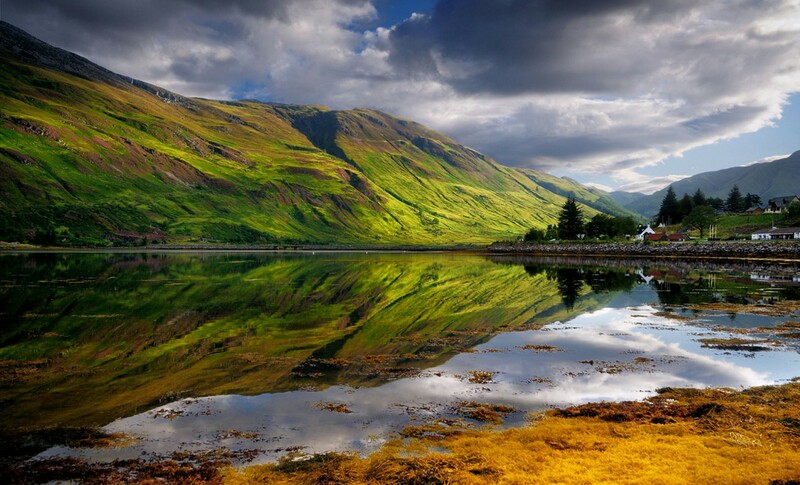 An English office cannot comel a Scottish person, unless there is proof that a crime has been committed. And even so cannot force a Scottish subject from clan lands without permission from the Laird. I can only legally refuse to hand you back to Randall, if I change you from an English woman to to a Scot. And the only way I can do that is for you to marry one. Absolutely not. I cannot do that . . . . I must admit, the idea of grinding your corn does tickle me. But, it’s not myself I’d be nominating for the postion. 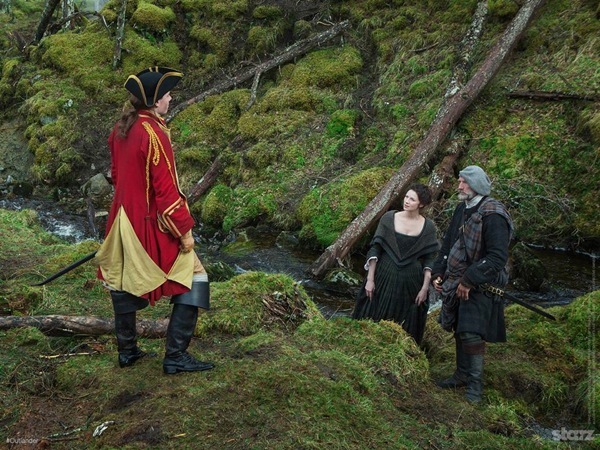 He explains to Jamie that he has to ensure the marriage is legally binding with consummation. 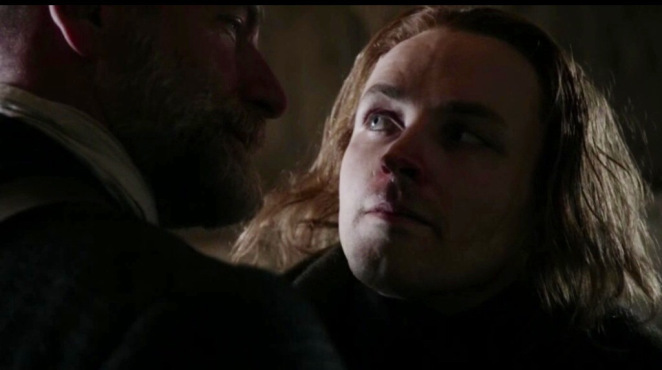 He follows Jamie’s wishes and secures a priest to perform the ceremony. 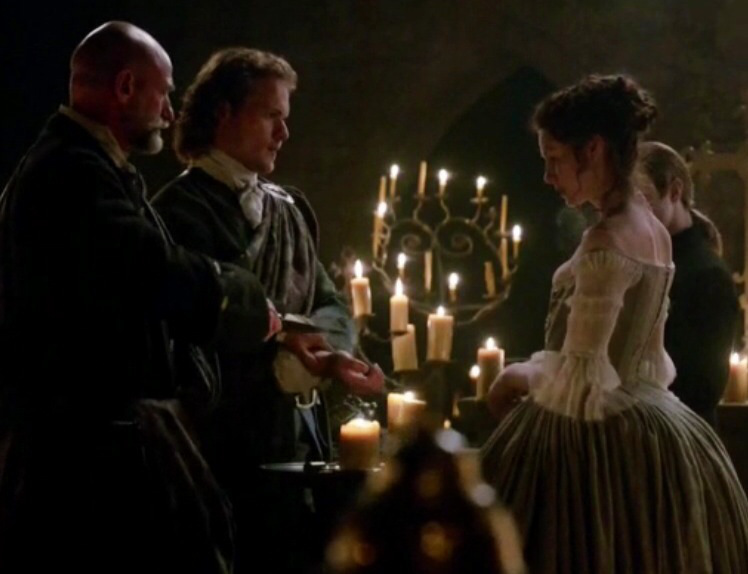 With Murtagh, he greets the bride and groom at the wedding . . .
. . . is a witness as they exchange vows . . .
. . . and initiates the blood oath. 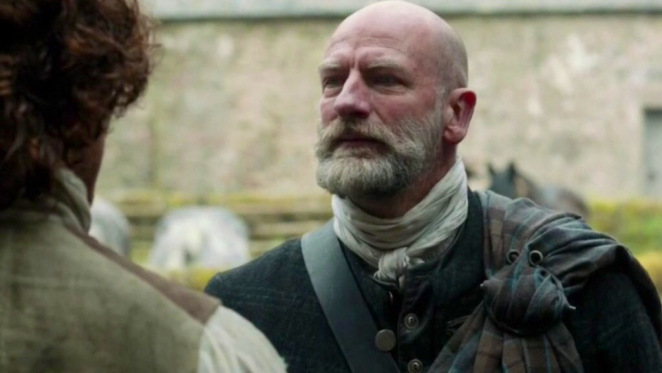 He is also there after Jamie and Claire consummate their marriage. Rather than joke with Jamie about the consummation, he begrudgingly says to him . . . I don’t think ye’ve thanked me properly. He wants all the credit for Jamie marrying Claire; at the same time, he wants Claire! 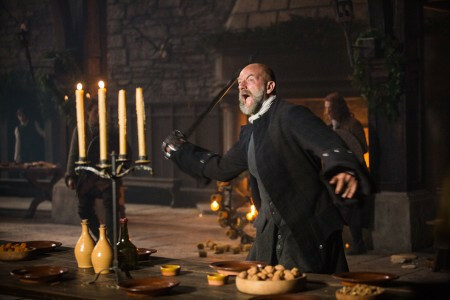 When Claire comes out of the room, looking for food, he makes a pass at her telling her just because she is married to Jamie does not mean she can’t sample other pleasures. He further says . . . I find you to be the most singular woman, Claire. Her reply is simply to remind him that she is JAMIE’S wife! You go girl! 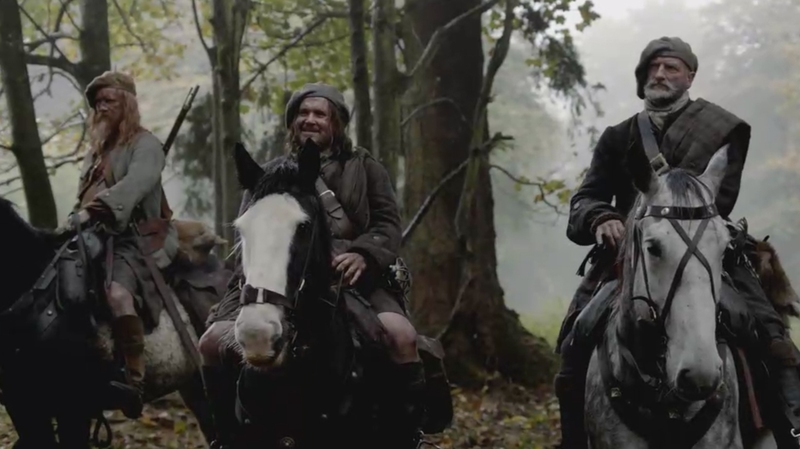 When they find out a Horrocks might be able to clear Jamie’s name, Dougal goes with Jamie to meet him. 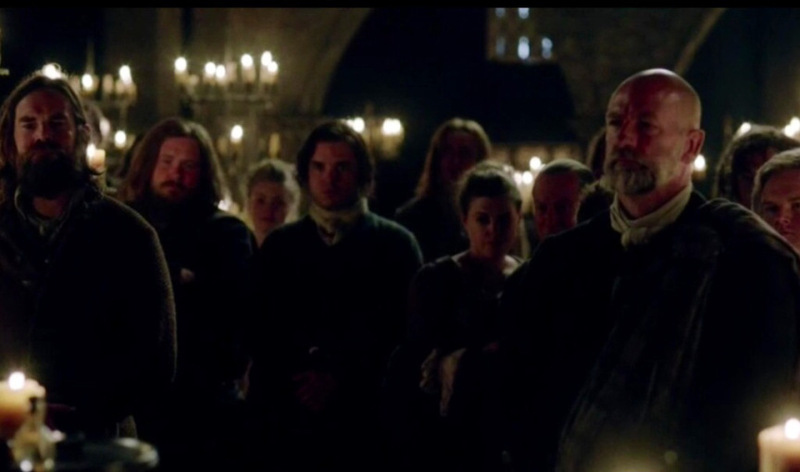 After the clan rescues Claire from Back Jack and they return to Castle Leoch, Laird Colum reprimands all of them . . . 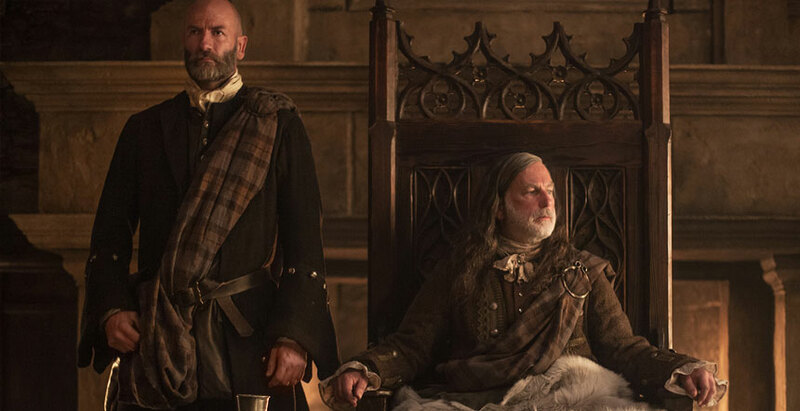 The clan for blowing up Fort William, Dougal for raising funds for the Jacobite cause and Jamie for marrying a Sassenach. He goes berserk after his wife dies. Up to this point, viewers (who hadn’t read the book) did not even know he was married! 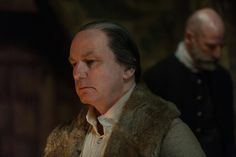 After he reveals that Geillis is pregnant with his child, Colum reprimands him again and sends him to his own estate to tend to his wife’s funeral. 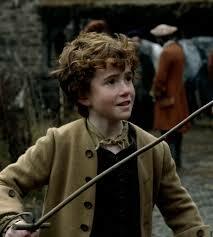 But he does not leave before he admits he also fathered Hamish – what a cutie, Colum’s son! 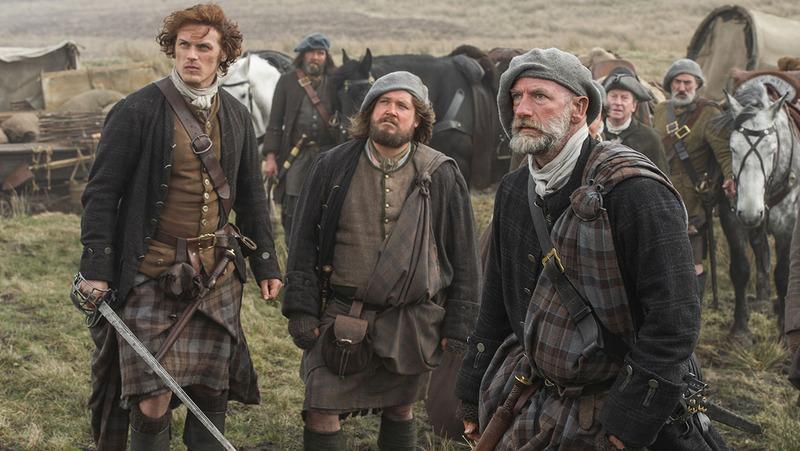 While Claire and Murtagh are searching for Jamie and doing their traveling performance, they get news he might be hiding in a cave. It turns out Jamie is not there. Dougal sent them a message. 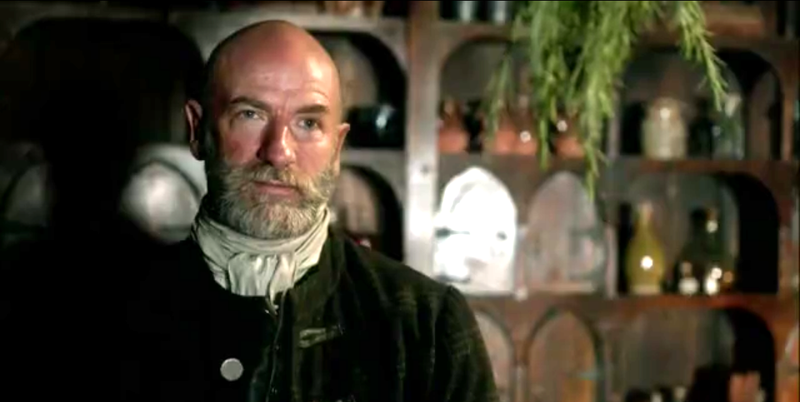 He tells Claire Jamie’s fate – was sent to Wentworth Prison, stood trial and was scheduled to hang. He once again gives Claire a proposition of marriage, but this time to HIM, as a form of protection, and to get his hands on Lallybroch. 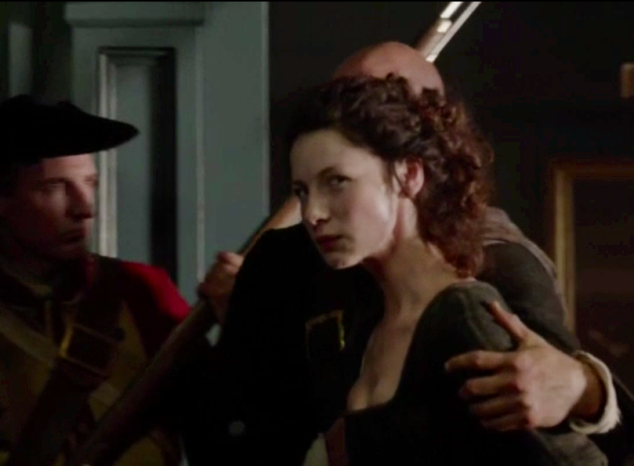 Claire only agrees if she is unsuccessful getting Jamie out of jail. 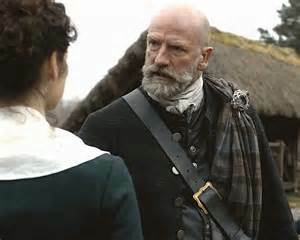 At the very least, Dougal does not stand in the way of any MacKenzie clan members who are willing to go with Claire. 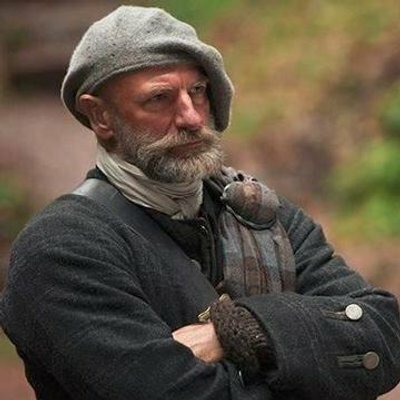 Where did we leave Dougal at the end of Season 1? 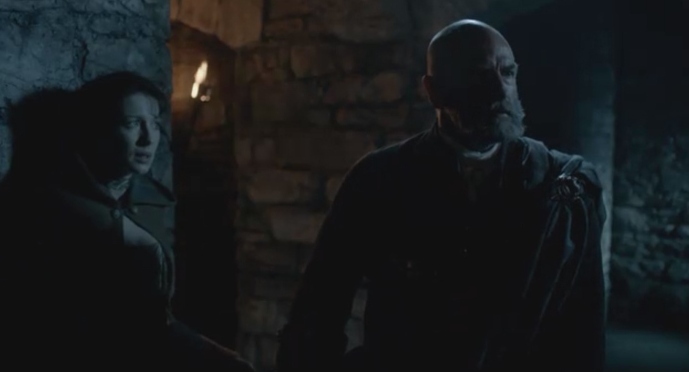 Still in the cave probably wondering if Claire will return to him! Just don’t hold your breath on that one, Dougal! Strike three . . . and, you’re OUT! !